March is well under way, so it’s time for my February accountability update. For those who are new to the blog, these monthly reports are where I share what came into and left my closet, what I wore, and how I did with my shopping budget and item limit. Sharing what I bought, what I culled, and how much I spent helps me to stay honest and on track with my wardrobe and shopping goals. Although I did a full post on this topic not long ago, I’m also going to update you on how I’m doing with my theme for the year, “balance.” I want to make sure to at least check in on my 2016 theme each month, but I also plan to share more in-depth thoughts from time to time. I think it’s important to keep our goals “top of mind” as much as possible. Last year, I didn’t reflect on my “deliberate” theme often enough (final update here), which led to my feeling that I didn’t do as much with it as I could have. While my 2015 theme was helpful in both my wardrobe and my life, it definitely could have had more of an impact. I intend to be far more deliberate with my balance theme this year (see what I did there?). Since I will be packing so much into these monthly updates, I will go into less detail in each section than I did previously. In many instances, I will give general summaries of what I bought and what I purged rather than doing an itemized account. However, when I feel it’s valuable to do so, I will elaborate more on particular items or in certain sections. I decided to purge these three items last month. The tee had become stretched out and no longer held its shape well. The shoes were rarely or never worn last year (and the middle pair wasn’t worn at all in three years!). I would like to replace both pairs with a single pair of metallic sandals in a style that I love and which will work well with my wardrobe. I hope to be able to sell the shoes on eBay shortly. I opted to pass these two scarves on last month. These scarves are in warm tones and my wardrobe is predominantly cool-toned. I didn’t wear either of them last year, so it’s time to pass them on. I purged these three jewelry pieces last month. The necklace and earrings were gifts that I just don’t love and the bracelet was an inexpensive impulse buy from last year that merely gathered dust in my jewelry box. No use in keeping pieces that I just don’t wear! Before I delve into what came into my closet, I need to admit to shopping more than I should have last month. Although I’m happy with what I bought and feel that my new pieces will work well for my life, I probably should have spaced out my shopping more. If I felt that I could trust myself to shop seasonally, I would be fine with having purchased this many things in one month, but my recovery is still tenuous at this point. I’m still at risk for using shopping as a way to try to deal with things that it just can’t fix, even though the choices I make when I shop are far better than they were in the past. I am committed to adhering to my budget and item limit for the year, but if I shop too much early in the year, it will be more challenging for me to do so. I plan to slow my shopping way down over the next few months (I have allocated a much smaller budget for quarter two anyway) and give myself a chance to incorporate my February purchases into my life. Then I will revisit my shopping priorities (spelled out in this post) and gear up for my third quarter shopping when I will round out my wardrobe for the summer and fall seasons. I added these ten “out and about” items to my closet last month. Two jackets – Yes, they are both black, but they are very different styles. The blazer will be part of my dressy wardrobe capsule, to be worn primarily with skirts and dresses. It fit me perfectly off the rack and was on deep sale, so I took the plunge. The moto jacket will be worn more often. It also fits me well “as is” and is a good length to pair with jeans. It’s an alternate length from the toppers I typically wear, so it will give my outfits a different look. Two pairs of pants – I found the black cords and trousers at a consignment store while I was waiting for the store personnel to go through the items I had brought in to consign. I almost never look through the pants at such stores, as they are rarely long enough for me. However, this time they had two pairs of designer pants that were both long enough and fit me well, one that was new with tags. What’s more, they both cost less than $10! The black trousers needed to be taken in and hemmed, but it was well worth the extra price for comfortable, casual pants. Three vests – I purchased a vest last year that has become a closet favorite. I like how vests can add special details to outfits without adding too much bulk or warmth. This is useful in the temperate climate in which I live. My new vests are all different styles from each other and from my existing vest, so there is no redundancy among them. The puffer vest is reversible, as shown above, which will make it an especially versatile piece. One bright tunic – This is another consignment store find that I absolutely love. It fits me well and is different from everything else in my closet. You can see it in an outfit below. One pair of jeans – This is a darker version of my favorite slim-fitting jeans (shown in outfits below). The style works well for me and is no longer being made, so I decided to buy a second pair on eBay. The jeans were new with tags and less than half the list price. One t-shirt – This is actually a replacement for an ill-advised December purchase. The white V-neck tee I bought late last year is too long and baggy. I am going to downgrade it to sleepwear and wear this one instead. I have already worn four of these items: the puffer vest, black trousers, cobalt tunic, and dark-wash jeans. I am happy with all of these pieces and feel that they will be worn regularly. I’m now tracking the wears of my new 2016 items in my accountability updates in order to increase my awareness of my purchasing successes versus failures. This information is included in the item limit section of these posts. I bought these three “at-home” items in February 2016. I actually purchased the tee in January, but I forgot to include it in my last accountability update. I’ve worn it several times already, but I don’t track the wears for my workout clothes (I don’t need to, as such items are always worn regularly). The slippers were an urgent need, as my two old pairs were both falling apart. I scoured the local mall for slippers, but couldn’t find any that were suitable for my needs. I also struck out at Target, but luckily found a comfortable pair at a local boot store (and on sale at that!). I wear them every day, including right now as I type this post! I’ve wanted to buy the pants since last fall, but I had blown my shopping budget late in the year. Since I still liked them and knew what size I needed, I periodically searched for them on eBay. When I recently saw my size listed “new with tags,” I snapped them up at just over half the list price. I’m a relatively new eBay shopper and don’t plan to shop there all that often, but it can be a great resource for finding items that we know fit us well. For some tips on how to shop successfully on eBay, please check out Margaret’s excellent guest post from last summer. As I mentioned in my 2016 goals post last month, I’m going to keep my accessory purchases to a minimum this year since I have many items that aren’t worn very often. In contrast, I plan to focus more on my shoe collection and have slated seven pairs of shoes that I would like to purchase before the year is through. I found one of those pairs in February, burgundy ankle boots. I actually opted to return the black coat I had received as a Christmas present from my husband in exchange for the boots. The coat didn’t fit me as well as I’d hoped and my friend convinced me that my existing black velvet coat can be worn for non-dressy occasions. Since I really like that coat, I didn’t need a new black coat. I feel that the boots will be a much better purchase, as I have already worn them four times and love them. I exchanged this coat for these burgundy boots last month. I like the design of these earrings and the fact that they are more of a muted “pearlized” purple than a bright shade. The earrings are different than anything else in my collection and I’m happy with them. I have decided to purchase no more than 36 “out and about” items this year (see this post for more information), as I already have a lot of pieces in this area of my wardrobe. I would like to focus more on my at-home clothing and shoes this year. Each month, I will list my “out and about” purchases, when I bought them, and how many times they have been worn thus far. For the sake of completeness, I will also share how many at-home items, shoes, and accessories I have purchased and include the wear numbers for those pieces as well. Please note that returns are not included among the purged items count. I also don’t report on returns made within a given month in these accountability updates. My first quarter budget is $750. As of the end of February, I had spent $766.16 on clothing and related expenses (clothes, shoes, accessories, alterations), which is over my budget by $16.16. Consequently, I have no money remaining in my budget through the end of March. I will need to wait until April before buying anything else. As I’ve mentioned previously, I would really like to move more toward doing the bulk of my shopping on a seasonal basis. If this is the approach I’m taking, then my having bought so many items in February is not really a problem. Rather, it represented my having filled in the gaps in my winter/spring wardrobe. What I’d like to do is focus on incorporating these pieces into my regular outfit rotation over the next few months while purchasing very little during that time. Since I’ve spent my entire first quarter budget and my second quarter allocation is small, this makes good sense. Ideally, I’d like to buy few “out and about” garments leading up to July and instead look for shoes, at-home wear, and underwear. I wore these 55 items in February 2016. I wore these nine pairs of shoes in February 2016. I wore this scarf and necklace last month. This is the only purse I carried last month. I don’t track my earring and bracelet wears, as I have less of an issue with using those items regularly, especially since I have pared down my collection considerably over the past two years. There’s a bit more variety here than what I featured in my January update. We experienced unseasonably warm weather last month, which allowed me to pull out some of my other shoes, as well as various short-sleeved and sleeveless tops, which I typically paired with open cardigans. I experimented with alternate shoe choices for my jeans ensembles and liked most of the resulting outfits. My favorite colors continue to be black, cobalt, burgundy, purple, and teal, but I also enjoyed wearing other shades such as pink and grey. As usual, stripes are my signature pattern and are included in half of the outfits shown above. Interestingly, as I look back at those posts, I have different perceptions of some of the outfits than I did when I wrote them and would assign lower ratings in some instances. My style has continued to evolve as I’ve been working on refining my aesthetic and dressing well for my body and lifestyle. I will likely do new installments in the above series soon, as those were popular posts that readers seemed to enjoy. I also learn quite a bit from revising my outfit journal and putting the “lessons” posts together. Bedtime: I pledged to get to bed by 12:30 a.m. each day. I have only done so a few times, but my overall bedtime has moved up by about an hour most nights. I’m going to continue inching the time up over the coming weeks. Setting key tasks: I have been doing this about half the time and it has helped my productivity. I still need to make it a regular habit. No social media before key task time: Most days, I have been working for at least an hour on a key task before logging on to social media. Decrease Facebook time: I have decreased my time on Facebook messaging quite a bit, but I still spend about an hour a day in the private group I founded. Surprisingly, that feels like it’s not even close to enough time to read and respond to the many threads there. However, I’m not willing to spend more time on Facebook than I have been and I would actually like to decrease it further to 10-12 hours per week maximum (I’m still at 13-15 hours, down from 20 or more!). I will aim for quality over quantity, just like in my closet! Eliminating backlogs: I wanted to do 30 minutes per day, but I haven’t always been able to do it. I’m going to decrease my backlog elimination time to 15 minutes and do more on the days when it works out for me. Those little bursts of time can add up! Email time: I also planned to spend at least 30 minutes per day on email. While some days I spend much more time, there are days when I barely even look at my in-box. I’m going to set 15 minutes as the benchmark here, too, as that will help to prevent backlogs and ensure that I don’t miss important messages. In-person activities: I was aiming for one per week, but with my many health issues and medical appointments, I think this may be too much. I’m going to change my goal to two or three such activities per month, as I feel that’s a more realistic number for me. Other “full life” activities: This includes photo walks, movies, and personal-growth reading. I have been doing these things, but not as often as I aimed for. I’m going to scale these numbers down to 2+ walks, 1 or more movies, and 3 or more reading times per week. “Batching” appointments and errands: I’m trying to do this as much as possible, but this week has been difficult with appointments every day. Two of these appointments were made last minute, but in general I’m going to aim for two appointment/errand days per week instead of four or five. I feel that doing these monthly reviews and recalibrating my goals will be very beneficial for my continued focus on life balance. I believe that I’ve already made excellent progress since the year began. There is much more that I’d like to do, as I still feel quite ineffective in terms of getting things done, but as with my wardrobe, I am aiming for progress over perfection. As long as I continue to move in the right direction, I will get to a better place in time. How did you do with your shopping and wardrobe during February and thus far in March? If you have one, how is your theme for 2016 coming along? What successes and/or challenges did you experience in these areas? I invite you to share your wins and setbacks, as well as any questions you have for me or others in this community. Some of you have opted to share your accountability updates each month, too, which is great. There is strength in numbers and in declaring our truth on a forum such as this one. We’re here to encourage and support each other, so please feel free to ask for help if you need it. I wish you all the best for the remainder of March and throughout 2016! I’m noticing a trend in the way you describe your purchases — you’re often describing the item as “different from anything else you own” and justifying the purchase accordingly. I worry that this is a slippery slope for you; something being “different” isn’t a good enough reason to bring it home. Perhaps you should consider whether something is “different” only *after* you’ve asked yourself whether it fills an actual wardrobe hole, matches closely to something on your shopping list, etc. Good point, AK. It can become a slippery slope for sure. I do have other considerations for buying things besides the different factor, but I am only making brief notes in these posts now since I’m covering so much. I am trying to buy less overall, but I consider it to be progress that I’m not buying as many similar pieces as I used to. I will be updating my shopping list soon to make sure I’m still on track there. Those boots are awesome! I’ve been wanting a pair of burgundy boots, do you mind sharing what brand they are? Thanks, Tawny! The boots are from Rieker and I ordered them from Zappos upon the recommendation of a reader. They were comfortable right out of the box! I like those a lot myself. They look good with your purpley outfits. I consider burgundy/cordovan to be a staple shoe color but they can be hard to find. Thanks, Ginger! Yes, burgundy/cordovan shoes can be hard to find. Knowing that, I went immediately online instead of trying to find the boots in a local store. I ordered three pairs and kept the ones that worked best. I don’t mind doing that when retailers offer free shipping and free returns. Hi Debbie. I definitely recommend pacing the shopping to stay in budget which is what I’m focusing on this year since last year what happened to me was that I ended up buying things too quickly and going over budget (by a lot!) especially for summer due to my need to acquire a workable summer wardrobe. I also really did not like shopping seasonally at all. I felt like I was binge shopping when I spent that much and bought like 10 to 15 items during those summer months. It was definitely a shopping begets shopping kind of feeling for me. As a consequence of my going over budget last year my budget this year is $1,600 (including bras and undergarments and sleepwear which cost a pretty penny!) This is why I decided to join team mod this year with the 36 (out and about) items limit and the 3 item limit per month and I think I will be under that item limit too given my strict budget. I will be taking two months of little to no shopping also in March (now) and in August also to make my budget. And the tracking with Stylebook is really helping me to see that I have clothes not being worn every month even though I have only about 70 items of clothing! My cost per wear needs to catch up first before I buy. I like how you have a great plan for the year Margaret! I know it helps me too if I have worked out a strategy for my goals. All the best with the Team Mod challenge. I am doing it too. I did the same last year and made it, so this year I have added in accessories. Not going to the shops (I don’t buy clothing online) has helped me so far. What I can’t see I am not tempted by! I agree that pacing shopping is a good idea, Margaret. I fell into “shopping begets shopping” last summer, so I know it’s a danger. I don’t think I’m ready for seasonal shopping quite yet and I may end up feeling similar about it as you do. I have divided my budget up based upon previous years’ shopping, but I still think I bought too much last month. I didn’t commit to 3 items per month, but I certainly didn’t think I would buy 10 in one month, at least not so early in the year! I need to slow things way down in order to stay on track (or get back on track…) with both my item limit and budget. The tracking is quite enlightening, isn’t it? I think most people believe they are wearing their clothes far more than they actually are. Your plan to get your cost-per-wear to catch up is a good one. I haven’t been tracking CPW, but I think I’m going to start this year. Best of luck to you (and you, too, Ruth)! I have a suggestion for you about scheduling with regard to managing email. I also go to bed about 12:00-12:30. (You didn’t say what time you get up, but I get up about 7:30 for reference). I have a number of morning household tasks that take about 45 minutes, and then I sit down with some tea and plan my day (set key tasks) as well as read for about an hour. By 10:30 at the latest, I am showered, dressed and at my desk–and the first thing I tackle is email, where I use the “you’ve got 30 seconds to impress me” approach unless it’s from someone business related or a friend. I don’t let myself get sucked into retail sale emails unless I am specifically looking for something that I think I could find from that particular retailer. I find I can get through my emails with real efficiency this way! I’m a little confused though, when you talk about how much time you spend on Facebook. Is that 13-15 hours/day? I think if you decreased your FB time, then you would have more time to address your backlog and deal with your email…? Thanks for the suggestion, Deby! I like the part about “you’ve got 30 seconds to impress me.” It’s similar to your “first impression test” for clothing, which has worked well for me. Sorry about the confusion regarding my Facebook time. I meant PER WEEK and I have added that to the text above. That’s more than enough! I can’t even imagine spending that much time per day, although I’m sure there are people who do. But I do agree that if I decrease my Facebook time, I will have more time to deal with backlogs and email. That’s part of the reason I’m trying to cut back. 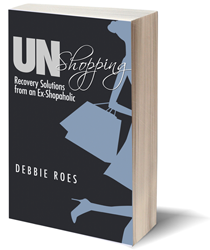 Interesting reading, as always Debbie! I can see you are thinking a lot about what you buy. Everything fits with you colours and style. I love the cobalt tunic! It’s my favourite colour too. I think the black pants or cords would look great with it too. With a few of your other tops you have the makings of a capsule with what you bought. One thing you may want to keep in mind when buying a new type of item ie vests, is not to buy too many. I know they are all different styles, but unless you wear them a lot you may find a couple don’t get worn as much. I have found this with a new style. If I have too many (tunics for me) some will just not get worn much. The favourites get worn. I think someone somewhere said 3 is a good number of a specific ‘type’ of garment. Something dressy/casual/fun. I think you covered those three here. I like the reversible one particularly! It would be a great piece to travel with. Have fun trying your new things with your other garments. I look forward to seeing some on OOTD. Thanks, Ruth! I totally agree that we shouldn’t buy too many of any one item and I need to stop buying vests at this point. I now have 4 and even though they are all different, I do run the risk of not wearing all of them often enough. I posted an OOTD with the reversible vest on Monday, but I’m sure I will have more to come in the future. I hate to bring this up since you’re at 4 vests already, but do you have a fleece vest? I’ve found that a white fleece vest is something that I wear a lot. It goes over quite a few tops and is a little lighter than a puffer but still keeps your chest warm. No, I don’t have a fleece vest, Ginger, but I can see the value in having one. I think a cobalt fleece vest would be great for me, actually, but I should probably wait and make sure that I wear the new vests I have enough before adding a new one. I do like how vests can add some extra style to a lot of my plain outfits of t-shirts and jeans. I often use the open cardigans to do that, but the vests give some variety to my looks. Still 2 things (a pair of boots and a sweat) for 72 euros for this year, but I have received about 10 new clothes from a friend. I often get clothes and I don’t really know if it is a good or a bad thing even if the clothes are good quality. I don’t really know what to do with “free” clothes. I still have to see if I keep them or not. And if not should I try to sell them or just give for donation? Lately I had bad experiences with donation. I would like to give things for “good” organisations. Do you know where donated clothes go? I have to finish my inventory this spring. I will get my new wardrobe in few weeks so it will help a lot. Seems like you are doing very well so far this year, Dory. It’s nice when friends pass clothes on to us, but we should never feel obligated to keep them if they don’t work for us. I think you should try them all on and go with your first impression (see this post for more on that topic: https://recoveringshopaholic.com/applying-the-wardrobe-first-impression-test/). As for whether to donate or sell, that’s a very individual choice. I often consign my cast-offs, but I don’t get very much money for them. I do get enough, however, to get a few new things here and there. Whatever they don’t take, I donate, which is usually at least half. I do sell a few things on eBay, but that takes more work to do, so I limit that. I have sold some shoes on eBay, but not too many items of clothing. For more expensive items, it’s worth it. Where donated clothes go depends upon many factors. I have read a number of articles that state that many of them end up being sent to Africa and some end up in landfills. It depends upon the volume of donated clothes in a given area. As a result of “fast fashion,” the supply often exceeds the demand these days. I guess the best is to pass cast-offs on to people we know, but that’s not always possible. I hope this helps… Good luck to you! Hi Debbie. I love the new boots, amazing colour & style & they look great with your purple/burgundy outfits. As like you I approach 50 this year (& with health challenges) I find I have been curating my style hugely. I think taking steps to look more current & polished everyday helps with the crushing feeling that constant medical appointments bring. I can see a huge change of direction with your new purchases, very chic French style dressing. I think you should create a capsule of your newly curated pieces as you’ve clearly evolved your style greatly in recent months. Oops I meant to add – there’s an amazing post on Vicki Archer – 5 simple style rules, that I think you’ll enjoy! Thanks for your kind words, Sharon, and for the referral to the Vicki Archer article. Here’s the link for others who may want to read it: http://vickiarcher.com/2016/03/style-notes-5-simple-style-rules-2/ It’s short but offers good advice. I agree with you that dressing nice and feeling good about how we look helps with that crushing feeling of so many medical appointments. I do worry sometimes, though, that doctors don’t take me as seriously when I look nice for my appointments, but I do it for myself not them. I appreciate your noticing my style evolution. I feel pretty good about it, too! As usual, I learned a lot from your post – and your commenters! It’s easy for me to over-shop when it feels like ‘permission’ has been granted, such as times of seasonal change outs, a legitimate item need, or an upcoming event that drives me into the stores. I’ve experienced all these in the past couple of months, and although I managed fairly well, it’s harder than simply not shopping at all. 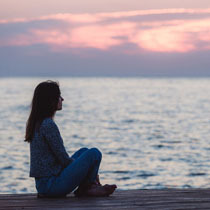 My guess is that you’ll get back to a normal level of buying now, as these accountability posts illustrate your progress while calling attention to your positive results, becoming preventative via awareness. I too have been known to glom onto some new silhouette (i.e., the vests, tunics) and then overbuy. And I too see your style becoming more focused and sophisticated (love those burgundy boots and the cobalt/black tunic!). Well done! I’m glad you learn a lot from these posts and the resulting comments, Sybil. I do, too! I agree that it’s harder to shop moderately than to simply abstain. I do tend to have bursts of shopping a few times per year, but I already feel like I’m in a better place with it. Writing these posts each month increases my awareness and helps me to recommit to my goals. I definitely have a tendency to get exciting about a new style and think that if one is good, then five is so much better. That’s a hard habit to break. I like the “rule of 3” that Mo wrote about: https://moderatewardrobe.wordpress.com/2014/10/27/avoiding-oversaturation/ I now have four vests, so it’s actually past time to stop! Thanks for the compliment on my evolving style. Hi Debbie, The burgundy boots look great and I think you will get a lot of wear from them. In fall 2014, I bought two pairs (black; dark brown) of the same brand in a very similar style, though I worried that I was slipping into the “multiples” rut. Well, they have proven to be the most comfortable shoes I own, and still look good even though I live in a cold climate. I haven’t felt any urge at all since then to get another boot of similar style, “just for variety.” Even better, now I know that in future when I need to replace them, I will look for the same brand and style. I try not to buy things impulsively, but get very frustrated when carefully chosen pieces don’t work out. I am coming to think that it is the perfectionist syndrome that is my problem. One last thought, I’m pretty sure you are aware of this, but I wonder whether a return to the consignment store environment and forays into Ebay might prove to be black holes of temptation. Finding designer clothes at low prices is almost irresistible to me. Shopping was so much easier back in the days when clothes went on sale at predictable and limited times of the year. I totally agree about eBay being a black hole of temptation. I joined eight years ago with the intention of bidding on just one beautiful leather bag that I had missed out on in-store and couldn’t find anywhere else. Within a week, I was addicted. I have since spent many thousands of dollars on eBay over the years and am weaning myself off it now, which is harder than it seems. While I have been thrilled with many of the purchases including designer items in immaculate used condition for less than half the retail price, there have also been many occasions on which the item never fit right or didn’t feel very nice on the skin, or wasn’t quite how it looked in the photo due to lighting etc. Whilst I do have quite a nice closet, I feel that those many hundreds of hours browsing and bidding, including setting alarms for items ending at night, would have been better served travelling or learning new skills and socialising, for shopping is a very lonely endeavour. Also, Debbie I want to thank you for inspiring me to do a closet audit. Last night I photographed everything in my wardrobe including things I had forgotten I owned, and I set aside several pieces that didn’t flatter me to donate to charity, plus a couple of designer ones to sell on eBay. I realised I have a hard time letting go of any clothes, even if they were a gift and I don’t wear them, as I don’t want them to “leave me”. Perhaps this is something I need to explore with a psychologist. It probably ties into why I overshopped in the first place. Congrats on the positive experience you had with your boots, Dianne. It’s great to find a style that we love and even better when we feel that we have enough. I am aware that both consignment stores and eBay can be sources of major temptation. I want to learn to be moderate with all types of shopping. I haven’t gone back to either source in about a month, so that’s positive. I agree with Tamara that the time we spent on shopping, even if we are getting “great deals,” is often better spent on less solitary and more fulfilling pursuits. It comes back to balance again, as shopping in and of itself is not a bad or evil thing. It’s just when it becomes an obsession and a compulsion that it’s a problem. Tamara, I’m so glad you have taken the time to do a closet audit. I always find it helpful when I do one. 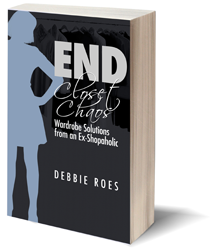 In regards to having a hard time letting go of clothes, I would like to recommend a book to you that was written by a psychologist about our relationship to clothes and shopping: http://www.amazon.com/You-Are-What-Wear-Clothes/dp/0738215201 I think you will find it helpful, but I also feel that exploring your feelings in therapy could also be beneficial. I wish that I had done that, as it might have saved me both time and anguish. Best wishes to you. I really like the slippers the best because I know they will be thrashed by the end of the year. I predict you’ll get lost of wear from the athleisure pants and the puffer vest. Love those! I am also impressed to see that the grey boots are back in rotation after a trip to the cobbler. Nice job! You are so right about the slippers, Jane, and I think the pants and vest will be worn often as well. I appreciate your recommendation about the boots. They are a lot better with the lower heel, although I probably will never wear them as often as my black boots. I’m happy to give them more life in my wardrobe, though. Those burgundy boots are dynamite! Great find and so awesome they fit and worked so well out of the box. Glad you had such a great win already from your list. Really curious to see how your new vests play out, which rise to the top… it’s hard to tell when trying a new style, so sometimes you roll the dice with certain purchases… just this time, you only get so many rolls i guess (with the limit, i mean). It is a “balance” when trying to “deliberately” sort out a new favorite formula/silhouette! I appreciate your kind words, Claire. I think that having the item limit will help me not to go too overboard with any one style, but I already got a bit too overzealous about vests (believe me, I wanted to buy even more, but I did show some restraint). I know you understand about the health challenges. If it weren’t for this blog, I would feel like my health issues and doctor appointments were my whole life. Thank you for what you said about this not being the sum of me. I never think that Lefty and Righty are “less than” because of their wings. Rather, I feel they are more special. I try to stay centered and focus on what is right about my life instead of what is wrong. First of all, I love your burgundy boots and they look smashing with your existing outfits! The second thought I have is as it relates to your goals and the need to scale back on the expectation for number of social interactions. I do not suffer a medical condition which requires frequent appointments, but for over three years I went to multiple appointments each week with my husband. It was amazing to me how it became a means to add interaction to our lives, to the point of being able to develop some rich relationships with some of his care providers. I don’t suggest this as a substitute for social interaction by any means, but I figure as long as you have to go out anyway, and get dressed and psyched to do so, it can become one more way to add more human connection in your daily life. Yes, there is a line with professionals, and these are not people you’ll invite out to coffee, but just being open to enjoying the conversation with the regular nurse or receptionist, etc. can have a really positive effect on overall mood and sense of well-being. At least it did for me, and for my husband too. As to myself and goals I am struggling a bit with the scarcity mentality, having just swapped out winter for my transitional spring wardrobe. I filled some real gaps in my wardrobe heading into the season and I hope they prove to be good buys. I finished out winter (November 20 – March 7 for me this time) having worn 47 pieces of clothing, not counting leisure, sleep or activewear. That seems just about right. You raised a really good point, Holly. Being an introvert, I don’t need a whole lot of social interaction and I think that my appointments are fulfilling that need well enough such that I don’t need to schedule all that many additional in-person get-togethers. I often find that if I have a few appointments within a given week, I like to have most of the rest of the time to myself or to be just with my husband. I try to enjoy the people I am around even if they are not really my friends. I can still have some meaningful conversations with them. It seems like your winter wardrobe suits you quite well. I think around 50 garments per season is a good number for most of us. Is your transitional spring wardrobe not suitable for your needs? Maybe there is a good reason for the scarcity mentality, although I have been known to feel that way even with plenty of clothes in my closet. What I haven’t internalized well enough, though, is that sometimes adding just one or two pieces is sufficient in order for things to feel “fresh” and I don’t need to go wild with shopping. You didn’t mention how many new items you bought for spring, but I hope the new pieces you have purchased will end up being things that you love. I am a bit disappointed with my habits so far this year. About half my purchases were good – restocking on basics, replacing worn items, and the other half were impulse buys that I will either only wear once or not at all because I continue to buy for a life I do not lead! I have 13 items so far this year with a ‘regret purchase’ each month. For January it was a dressy fringe top that I bought because it was on sale, however I do not go out as often as I used to and I just don’t know when I’ll get a chance to wear it. For February I bought an item online that was also on sale, but ended up being a very uncomfortable material as well as ill-fitting. I threw away tags and the receipt so for now I am stuck with it. For March (birthday month!) I bought myself a top to out to dinner with some friends and family that unfortunately will probably not be worn again. I will be returning it soon! I am disappointed because I seem to take two step forwards and one step back and I feel like I am on a merry go round! My goal moving forward is to be MUCH more intentional – where will I wear the item and how often will I be able to wear it? I am going to cut back on my online shopping (gulp!) and try to buy more for the life I am currently leading and not the fantasy in my head! Thank you for your honest updates about your successes and setbacks! It is hard to not beat yourself up sometimes when you try hard and hit a bump. I look forward to your accountability updates each month and I think your style has grown so much in the last few years! Your looks are cohesive and most of your pieces look very versatile. I would love to see some updates about accessories and how you’re doing in that area! I know the type of disappointment you described very well, Michelle. It used to be that the majority of my purchases were bad ones. I believe that they analysis you’re doing will improve your track record. That has definitely been the case for me. I think the key is to be more intentional with what you buy, just like what you said. I love Bridgette Raes’ question, “Where are you going in that?” If your answer is, “out to dinner” or something of that nature, consider how often you go out and where you go. I know that my lifestyle is quite casual so many of the going out items I used to buy just didn’t fit my life. I often joke that I need a life for my clothes instead of the other way around! I wish you the best of luck with your shopping moving forward. Thank you for the kind words you wrote about my evolving style. I haven’t been purchasing many accessories, but I have noticed a change in what I like and wear. I will do a post on accessories sometime soon, as that’s an important topic to address. I too love your burgundy boots, but my aim is to keep 2 base colours. I’m thinking navy which looks good all year; with brown or grey. Also using these colours for my skirts, as black doesn’t suit me like it used to. 8 or so long sleeve tops in a selection of colours to mix & match will make up my minimal wardrobe. That gives me some leeway to add jumpers & cardigans for warmth. I still tend to overspend, but am more aware now & keep mainly to charity shop sale rails. Plus online offers if I feel they are worth taking up. I purge twice a year too now, so my wardrobe and charity benefit. It sounds like you are on a good track with your wardrobe, Sue, and have a sensible plan in place to make and keep your wardrobe more manageable. I have found that limiting my color palette has helped a lot. Not only does it make it easier for me to mix and match in my closet, it also allows me to simply walk past many items in the stores. I don’t even look through a large proportion of what’s being offered. I think it’s good to limit the number of items in each wardrobe category like you’re doing with your long-sleeved tops. I still have too many tops, but I used to have over twice as many. I’m learning over time what types of tops I wear more frequently, so my plan is not to buy more in certain categories and allow attrition to help me winnow down my wardrobe size (as well as regular closet purges).